Hiya Everyone! 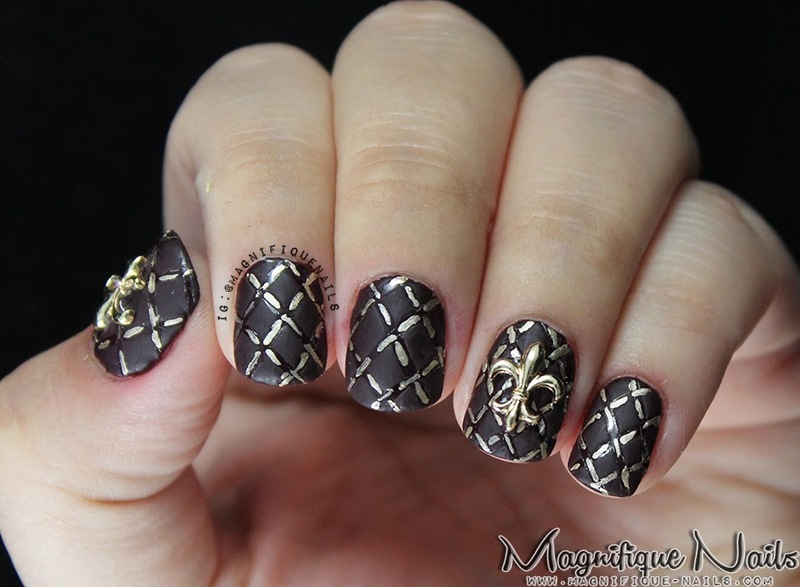 I have some amazing charm nail art for you guys, today! Well first this is my next Alphabet Nail Art Challenge: Q for Quilt. Yesterday I was organizing my nail polishes and haven't realized I owned almost 400 polishes, I couldn't believe it! Anyways, I have been wanting to do these for a while now. I've seen soo many quilted designs, I wanted to jump in the ban wagon. Now for the quilting process, it's pretty simple. Once the base dries completely, I applied the striping tape first in the middle formed a "X". Next I spaced them out evenly forming a quilted pattern. Then applied one coat of Essie's Shearling Darling and Essie Matte about You. Now here came the tricky part, I slowly removed the tapes using a twizzer. I can honestly say, two of the nails came out a little messy. I had to remove and repeat the process all over again, which was a little annoying, if your a perfectionist like me. 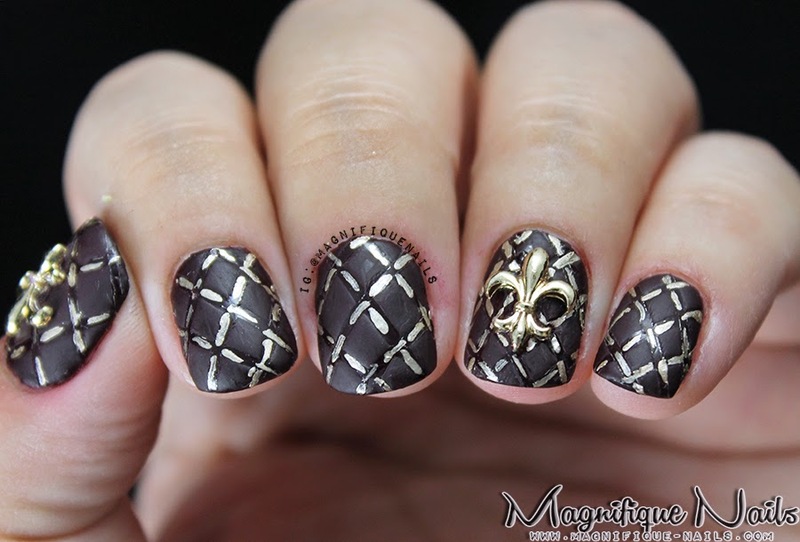 Once I had that done, with a nail art brush I used Essie's Good as Gold to draw the lines, for the quilted pattern. I wanted to accent the nails with these cute charms from Daily Charme. They have a variety of wonderful charms and polishes. I couldn't help myself with all those beauties. 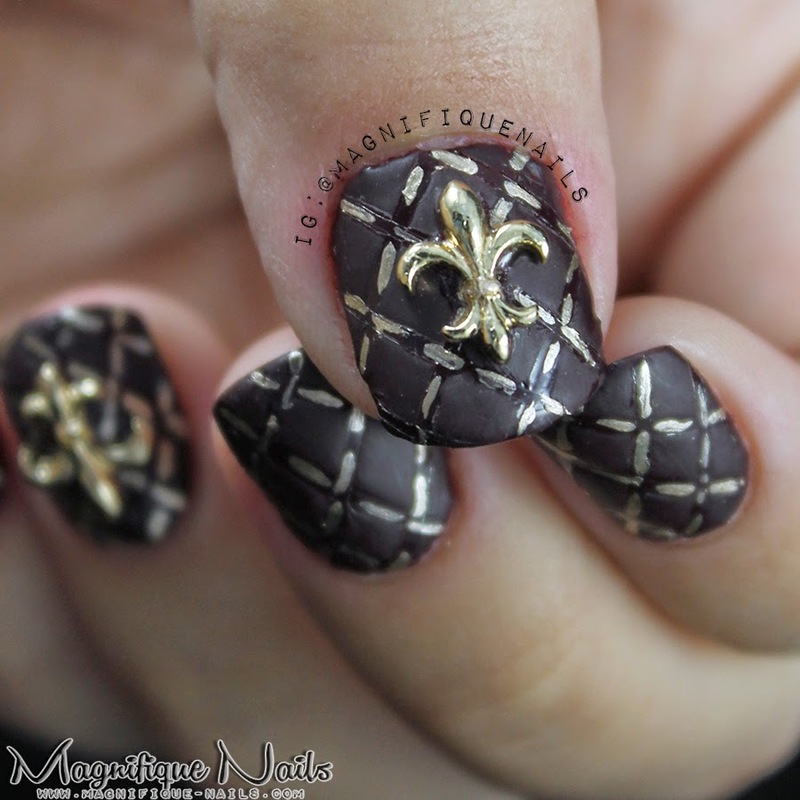 I went a liiiittle overboard with my purchase, especially these Fleur-de-lys.